Winners of the Real Life, Real Love contest included couples Trevor Hall and Mariah Hart, who won the third place prize of $250 in GCBA Bucks; Shelby Lane and Nate Clark, who won the second place prize of $500 in GCBA Bucks and Andrea Germaine and Kody Mayhew, who won the grand prize of $2,500 in GCBA Bucks. 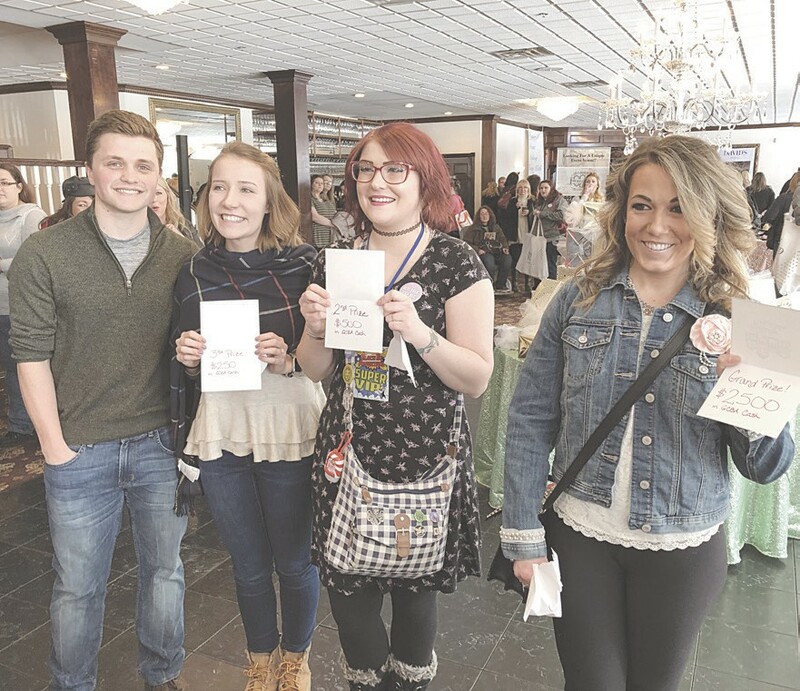 GRAND BLANC — The 8th Annual Genesee County Bridal Alliance (GCBA) Wedding Marketplace was held at the Captain’s Club at Woodfield on Sunday, Jan. 27. The event welcomed over 100 brides and their friends, families and in some cases grooms, all ready to plan the big day. More than 30 vendors were on hand to make wedding day dreams a reality. One of the biggest events at this year’s Wedding Marketplace was the first-ever Real Life, Real Love contest awards. Couples from all around Genesee County and surrounding areas submitted their love stories to the GCBA. The top 10 finalists had their stories published in the special Weddings publication in View Newspapers on Thursday, Jan. 24. All 10 finalists attended the Wedding Marketplace Sunday in hopes of being crowned the grand prize winner. Three finalists were drawn at random during the Wedding Marketplace, each was given an envelope containing their prize. Trevor Hall and Mariah Hart won the third place prize of $250 in GCBA Bucks; Shelby Lane and Nate Clark, won the second place prize of $500 in GCBA Bucks and Andrea Germaine and Kody Mayhew, won the grand prize of $2,500 in GCBA Bucks. 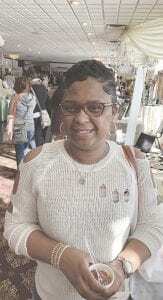 Daneva Osvorn, of Flint, was at the Wedding Marketplace Sunday prepping for her July 13 wedding date. In total, the GCBA gave away $10,000 in GCBA Bucks that can be used with GCBA members during Sunday’s event. For more info on the GCBA visit www.weddingmarketplace2019.com or call 810-836-5201.